Captain Troy Sapp is a fishing guide based out of West Central Florida fishes what they call the Nature Coast of Florida. 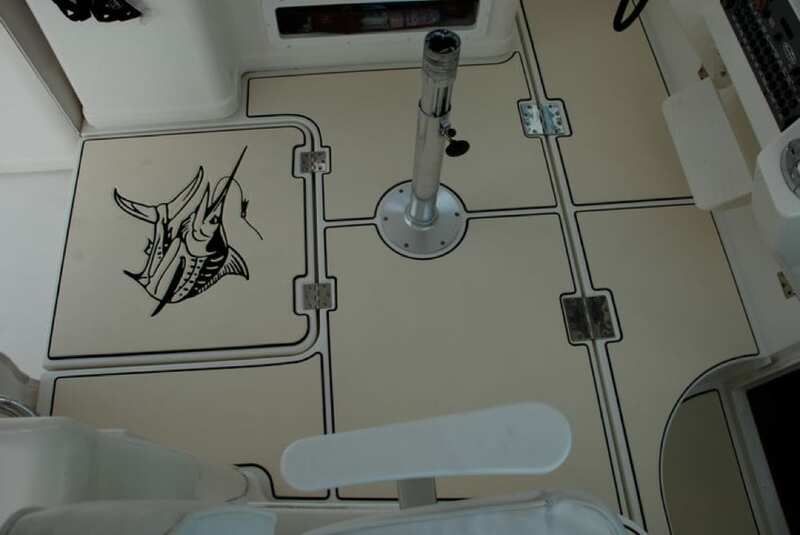 He guides out of a Maverick 21′ Master Angler as well as this Rampage 34′ Express. He wanted to know if the SeaDek product could dampen the growl of 920 HP diesels under the floor. The sound deadening ability is one characteristic of SeaDek that is often overlooked or forgot about. From a large Sportfish or express style boat like Troy’s Rampage to a small flats boat or skiff, SeaDek definitely quiets a boat down. He also was looking for something with comfort and traction which SeaDek also provides. 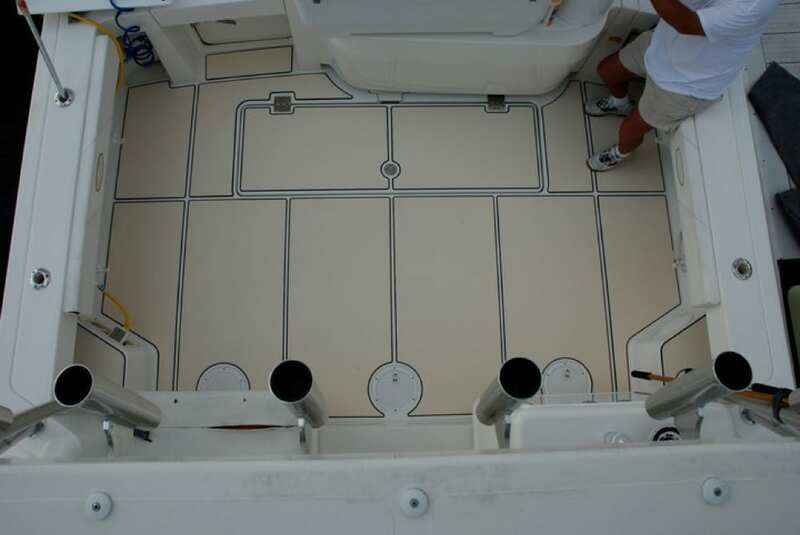 After deciding upon the colors I made a trip back over to install the boat. The pictures don’t do the boat justice. The marlin logo designed by Boldwater really sets the boat off. The black border around the beach sand is a very nice color combination which really pops also. 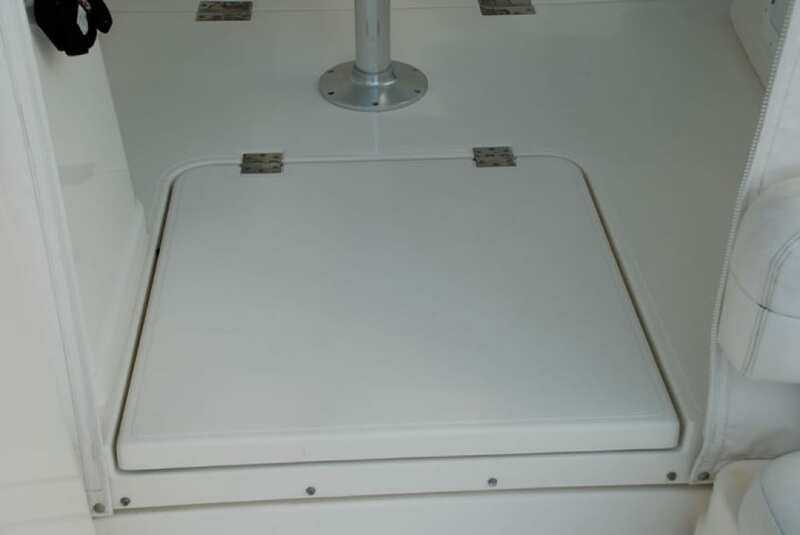 The boat looked like a brand new boat after it was installed. 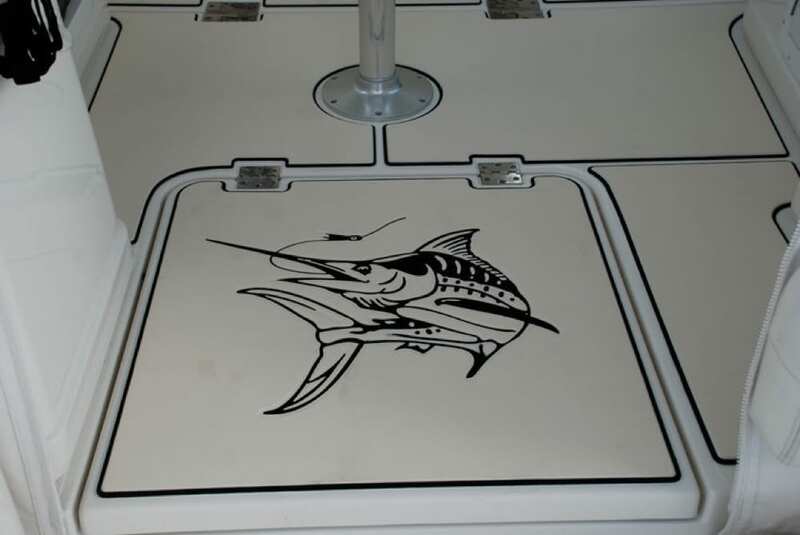 For more info on getting custom SeaDek for your boat contact Castaway Customs by email at info@castawaycustoms.com.